Are You Making Sales Online? In today's day and age, everything is digital. Are you making the most out of your website and social media? Is your online presence merely a business card or are you actively converting into sales? Contact us for a free no-nonsense checkup, no strings attached. Our core business is designing and developing beautiful websites and applications that convey the message of your company. We can host your website on our lightning fast servers, and register all of your desired domain names at affordable prices. 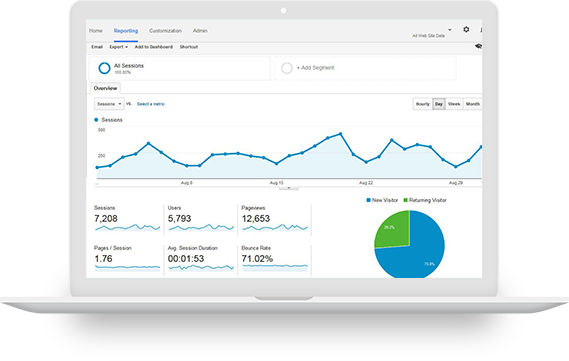 Your site should be fully optimized for search engines such as Google, to be optimally indexed and rank in a high position. 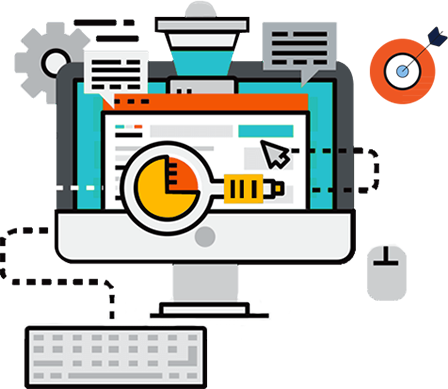 To reach a guaranteed audience for your websites and landing pages we can manage your search engine marketing campaigns. 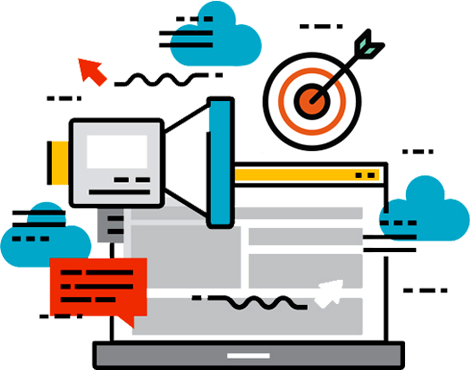 In order to effectively target your audience at a very specific level a social media marketing campaign proves to be ideal. We can take care of all of your graphic design and printing needs such as logo design or printing of business cards and flyers. If your website is not converting, you’re definately missing out on valueable sales. The same goes for social media. Your online presence should not be just a business card to direct customers to your store, rather it should be a medium with which you convert visitors into repeating customers, and interest into hard sales. We cover all facets and have lots of experience. All of our our high-converting clients can't possibly be wrong. Reach the 1st page of search engines like Google. Target a specific audience through social media. We are specialists in web shops and dropshipping. We have the solution for your real estate enterprise. Big or small, we have a fitting solution for you. Made to fit, designed to grow. The basic package, the bare necessities and then some. Basic but powerful, fully adequate online presence for small companies. Pure digital power, professional and perfect for most clients. Tailor made customization and forms, for those serious about sales. The elite plan for serious web shops or real estate companies. Advanced systems designed around your business, specialised and powerful. Many people don’t look past the 1st page when they’re looking for something on search engines such as Google or Bing. To get on the first page is essential, and is very hard in a saturated market. We have the knowledge and technology to get you there, and to keep you there. Leave your details or visit our office for a no-nonsense checkup of your current online presence and we’ll tell you exactly what it’s worth, and where it can be improved. Free of any obligations. Bullzeye Media is a multi faceted media company with a vast amount of experience. We are specialised in web design and marketing, and anything that comes with it. Look at our partner companies for services such as Social Wi-Fi and sales of business properties.